Almost Heaven Dress https://www.review-australia.com/au/almost-heaven-dress-red-c93d7a/RE19DR066.RERED102.html The Almost Heaven Dress is just heavenly. 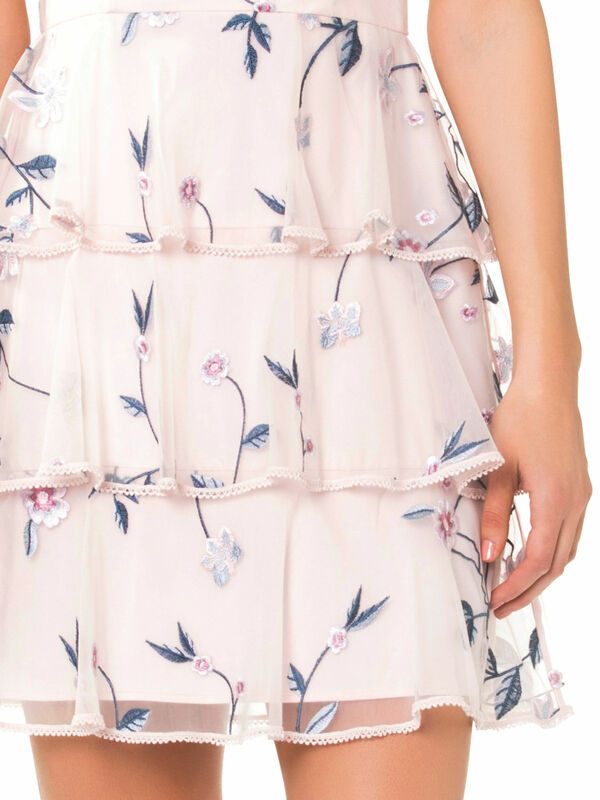 In a beautifully soft and feminine colour palette, this dress features dreamy floral embroidery and a twirl-friendly tiered skirt. Easy to dress down with a cardi or up with heels, the Almost Heaven Dress is one for your wishlist! The Almost Heaven Dress is just heavenly. In a beautifully soft and feminine colour palette, this dress features dreamy floral embroidery and a twirl-friendly tiered skirt. Easy to dress down with a cardi or up with heels, the Almost Heaven Dress is one for your wishlist! Almost Heaven Dress is rated 4.8 out of 5 by 13. Rated 5 out of 5 by audreychincf33 from Heavenly Dress I bought this a month ago for a friend's wedding. It's such a wonderful dress. Simply an elegant, yet understated dress which fit the occasion and yet not outshine the bride. Loved the frilly bits of the skirt which swish as you walk. I paired them with pale pink heels and got so many compliments for this dress. Absolutely stoked that I gave into temptation to get it. Rated 5 out of 5 by Kimberly Jane from This Dress is Heaven What a beautiful dress, so elegant. Wore it to a girl's night out and received so many compliments. Very comfy to wear and true to size like all Review clothing. Will be getting a lot wear during the warmer days and nights. Could not be happier with my purchase. Rated 4 out of 5 by Chirssy from Almost heaven dress I bought this dress and I just love it. The layers were what really drew me in I haven't anything else like it in my wardrobe. I feel that the sheer material and embroidery add a sophistication to a youthful colour. Rated 5 out of 5 by Mrs.B from Lovely dress I bought this dress a few weeks ago. The first thing you notice about it is its colour. The layered bottom adds a wonderful effect and provides a slim look. The triangular back is a bonus. Rated 4 out of 5 by Rosemae from Pretty dress that’s comfortable to wear Love the print on this dress. It is delicate so conscious of any rough surfaces near it. It was a bit short for me, and a big big in the bust. A lovely dress to wear though. Rated 5 out of 5 by DiW16 from Very feminine A lovely dress that can be used in dress up or dress down social occasions. Made me feel very feminine.